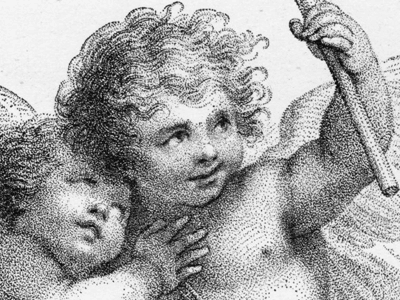 Engravings were the means of creating reproductions of fine art in the pre-photographic age. German artist Albrecht Dürer became one of the most famous Intaglio printmakers, as early as 1498. Commercially viable processes were developed primarily by Italian artists (hence Intaglio). 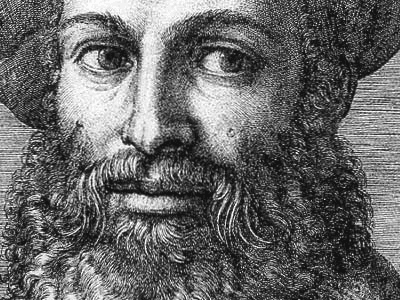 Marcantonio Raimondi (aka simply Marcantonio) is generally regarded as the first important printmaker to develop a method for line engraving early in the 16th century, and Francesco Bartolozzi was also considered one of the best, as he introduced the stipple method to England during the late 18th century. Prominent artists praised Bartolozzi's work and his pupils nicknamed him "the god of drawing." Line engraving, or Intaglio printmaking, is a term for engraved images printed on paper to be used as prints or illustrations. The term is mainly used in connection with 18th or 19th century commercial illustrations for magazines and books, or reproductions of paintings. In the 21st century, intaglio engraving has made a resurgence as a form of self-expression in fine art printmaking. This type of engraving is made by carving into a plate of a hard substance such as copper. The most important tool used in line engraving is the burin, or graver, a bar of steel with one end fixed in a handle, somewhat resembling a mushroom with one side cut away. The burin is shaped so that the sharpened, cutting end takes the form of a lozenge, and points downward. The burin acts exactly as a plough in the earth: it makes a furrow and turns out a shaving of metal in the same way a plough turns the soil of a field. This particular characteristic makes it superior to other tools employed in the arts of design, such as pencils, brushes, pens, and etching needles. After engraving the plate, ink is rubbed into the carved areas and away from the flat surface. Moistened paper is placed over the plate, and both are run through the rollers of an intaglio press. The pressure of the press pushes the paper into the engraved lines and prints the image made by those lines. In an intaglio print, the engraved lines print black. Stipple refers to a type of incised engraving on metal, again, mainly copper. The image is created by making tiny indentations in the form of dots of various size and depth. The indentations are produced with special tools, such as punches, mattoirs, roulettes, and stipples. They are made directly on the surface of the plate or on an acid-resistant etching ground. Stipple engravings are characterized by subtle chiaroscuro effects (contrasts of light and dark tones to achieve three-dimensional depth, similar to mezzotint). This stipple method was widely used in the 18th century by Francesco Bartolozzi, T. Burke, and W. Ryland in England, and by G. I. Skorodumov in Russia. It was commonly used to make colour or black-and-white reproductions of paintings. Colouring of the black and white prints would usually be done by someone other than the engraver or printer, most often using watercolour paints. ‘The entire history of Western art would have been quite different if engravings had not rapidly disseminated every stylistic innovation all around Europe’ ( Antony Griffiths, Prints and Printmaking, 1980). © The Oxford Dictionary of Art 2004, originally published by Oxford University Press 2004.